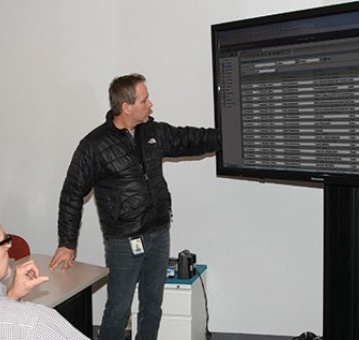 Oregon’s Publishing & Distribution division is implementing both print shop management and Web-to-print software to augment its efficiency, data measurement and customer service efforts in a true cost recovery environment. The funny thing about technology, according to Oregon State Printer Tim Hendrix, is that it requires more dollars to catch up with it than it does to remain as current as possible. It’s an important axiom for in-plant printers, regardless of their size. That is certainly the case for the State of Oregon’s Publishing & Distribution division, of which Hendrix is program manager. The 86-employee operation produces negotiable documents — titles, checks, warrants, bonds — as well as client notices, booklets (stitched, coiled and three-hole drilled), data center printing, brochures, posters and other forms of commercial-type work. It also provides the state shuttle delivery service, which makes 550 stops per day in the cities of Eugene and Portland.